The first thing you might have noticed in doing your research on the Inca trail trek is the shear number of trekking companies on offer and variety of Machu Picchu trekking prices. In this article we have tried to provide some clarity on what you should expect to pay for an Inca Trail trek and who you should be looking to book with. We have gathered this information from a number of resources including from a depth review of 2014/15 prices quoted on tour company and agent websites. We are particularly indebted to the information provided on the Andean Travel Web website (1). In order for a company to operate an Inca trail trek they need to be officially licensed by the government, and licenses are only awarded to local Peruvian trekking companies that have offices in Cusco. International travel, trekking or adventure companies outsource to local operators. We explain the pros and cons of working with international companies a bit later in this article, but for now let’s explore the various Inca trail costs offered by local trekking companies in Cusco. There are nearly 200 licensed trekking companies in Cusco. Hence, competition is fierce, which leads to service / quality variations for those looking to differentiate themselves with a superior proposition, and a race to the bottom for the rest. 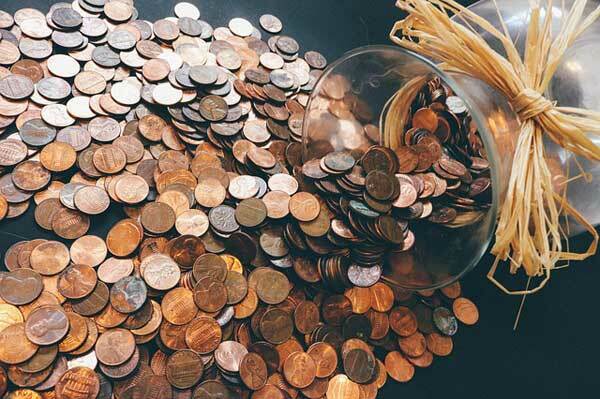 The latter is more common and hence finding a great proposition that is affordably priced can be tricky. For a 4D/3N Classic Inca Trail trek costs with a local operator can range from US$600 on the low end, up to US$1,500 on the top end. The difference is driven by the quality of the operator and their service, the size of the group and whether the trek is a private or open group. On the low end (US$600 and lower) the trek is usually operated by a consortium of operators as they need to reach a maximum group size of 16 trekkers to make the costs stack. The service may be okay but it is likely that the company you have booked with is cutting corners, either in the wages they are paying to porters, the quality of the food or service, or in some other area. Generally we recommend avoiding offers that are in the low 600s as you cannot be guaranteed a great service and will undoubtedly be joining a big group (at least 12-16 trekkers). It is important to check what is included and not included in your Inca Trail to Machu Picchu trek price. At a minimum the costs above should be covered by an Inca trail price of US$900 (2016/2017). Some local operators guarantee to run their Inca trail treks regardless of group size. If this is the case you can be assured that your trek will not be cancelled but you might pay a premium for the guarantee. Inca trail costs get significantly more pricey if you are looking to do a small, private group trek (less than 5 trekkers), as the running costs of the trek (transport to KM82, costs of porters and guide etc.) are split between a smaller number of trekkers. At the upper end, if you are looking to do a 2 person private trek you can expect to pay anywhere between US$1,200-US$1,500 (4D/3N trek). There are essentially two main types of international companies that sell Inca Trail treks. Some of the larger adventure travel companies or specialist trekking companies often have very well established relationships with local operators and in fact provide most, if not all their business. In other words they in effect own and operate the service, but use a local team, which is registered as a local company, to deliver it. The benefit of booking with these guys is that they are generally very experienced in running adventure tours for an international clientele, and have the resources to invest in excellent training and equipment for their local teams. They also are heavily involved in the design and operation of the local service. 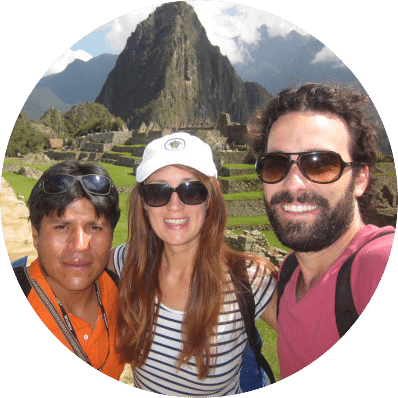 Like the travel agent group below, their service usually comes with all the bells and whistles, and is often part of a 7D/6N itinerary with hotel stays in Cuzco and Aguas Calientes. Costs range from US$900 for standard 4D/3N itineraries (these usually include personal porters to carry gear and private portable toilets, something that the local operators usually charge separately for), up to US$2,000 for small private groups on a 7D/6N itinerary. Tour agents are essentially travel brokers who offer Inca trail treks that they outsource to local on-the-ground operators in Peru. Agents are usually found online, have glossy websites and established or recognised brand names. They are usually run by Western companies, have good reputations, adequate insurance, a safe online transaction environment and offer good pre-trip logistics, but when it comes to the actual trek there will be no noticeable difference in the experience or service had you bought the tour direct from a specialist adventure travel or trekking company. The benefit you get from booking with an agent is the peace of mind that you are working with a ‘seemingly’ established company. They may also be organising a full tour on your behalf, of which the Inca trail is just a component, and therefore have full tour discounts and logistical control that can work out cheaper than booking everything direct. Expect to pay between US$1,500-US$2,500 per person with a tour agent on a 7D/6N itinerary, and closer to US$1200 for a 4D/3N itinerary. We hope the above information has been helpful in outlining the various Inca trail costs you will find online and what you can expect to get for your money. Remember, the places on the Inca trail sell out very quickly so make sure to start your research early (at least 6 months in advance). We are particular fans of adventure and trekking specialists who ‘operate’ a local on-the-ground team, as they generally offer superior Inca trail tours. You can use our recommendation service should you want help in finding a specialist adventure travel and trekking company, that isn’t an agent. Hi, I'm Mark! Welcome to Machu Picchu Trek Guide - the Web's No.1 Trekking Guide to Machu Picchu. I started this guide to help trekkers like yourself get the information you need to plan for an awesome Machu Picchu trekking experience. Over 1 million people have used Machu Picchu Trek to plan their adventure to the famous Incan ruins. We hope we can help you too! If you have any questions don't hesitate to drop a comment below! Happy Trekking! Best Hotels In Aguas Calientes Peru – Budget To Premium Options! Mark, Hi, Myself and a friend are planning to trek to MP sometime in 2020. We are both quite physically affected by rheumatoid arthritis but determined to do this. I’m know we can do this, it’s just going to take us a bit longer. I see the ‘regular’ hikes are 3-4 days, is it possable to hire a private guide for the two of us, to go at our pace, without breaking the bank? Thanks ! Do you think it is easily feasible without guide ? Hi Michel, the alternative treks to Machu Picchu can be completed independently (i.e. without a guide). I always recommend taking a guide though as it is safer and generally better from an organisation perspective. As for the Inca Trail, this is a regulated and permitted route. 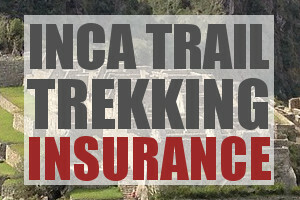 If you plan to trek the Inca Trail you will need to book with a registered agency and use a registered guide. MachuPicchuTrek.net is the web’s most authoritative information portal on trekking to Machu Picchu. We aim to provide up-to-date and comprehensive information on trekking in the Cusco region and specifically to Machu Picchu, so that your experience is as fulfilling and safe as possible.